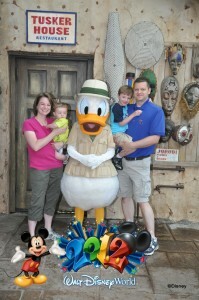 Vacation 2012 — Trip Report #4! So a brief delay in finishing the trip report. I made Jennifer a Disney Memory book of our trip for mother’s day, so I knew I had these memories written down and would eventually get it online. Tuesday we went to Epcot. We got Fastpasses for Soarin’ (a multisensory attraction that simulates a peaceful hang-gliding flight over California), then rode The Seas with Nemo & Friends, and spent some time in the viewing the massive aquarium that holds one of the largest man-made ocean environments in the world. 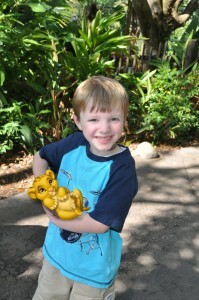 Next we headed to The Land Pavilion and watched the Circle of Life short film, followed by riding Soarin’. We had a late lunch at Via Napoli, at Italy in Epcot’s World Showcase then stopped at Spaceship Earth on the way out of the park. 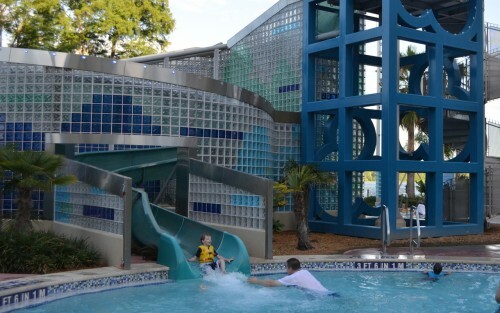 Once back at the hotel, we rested, then enjoyed the Bay Lake Tower pool and water slide. Caden initially didn’t want to go down the water slide the second time, but after trying the “kiddie” water slide and proclaiming that “it is too slow daddy” we insisted on going down the regular water slide at least 3 more times. We spent Tuesday morning and Thursday evening at Epcot. 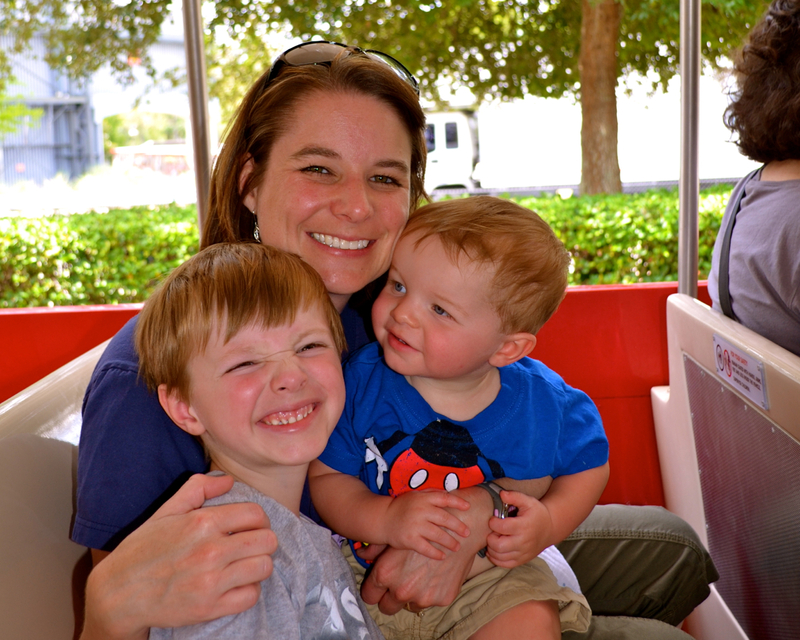 Caden loved riding the monorail to Epcot. 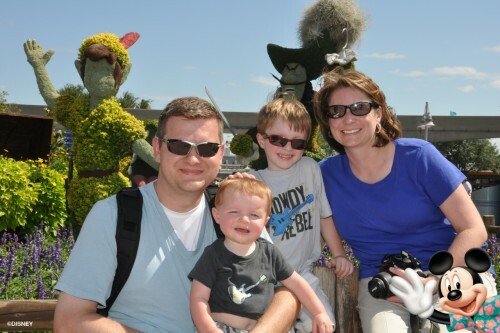 The Epcot International Flower & Garden Festival was being held, so there were character topiaries throughout the park . Wednesday morning we ate breakfast in Animal Kingdom at the Tusker House with Donald Duck and Friends, followed by the Kilimanjaro Safaris and Expedition Everest. A little time with Fossil Fun Games, the TriceraTop Spin, Dinosaur and then back to the room for naps. 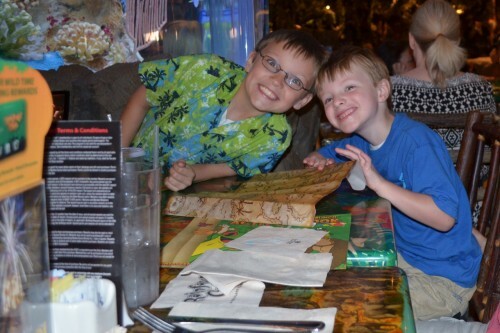 We went to Downtown Disney and met friends that live in Orlando for supper at the Rain Forest Cafe. While the food was ok, the fellowship was great! Thursday morning we tried out Typhoon Lagoon, one of Disney’s two water parks. 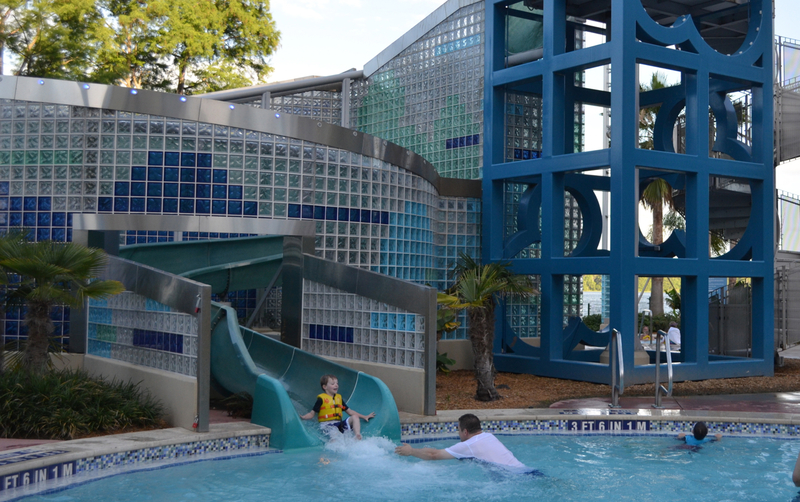 They had a huge kiddie area, and we loved the lazy river which flows around the entire water park. In the middle of the park is a huge wave pool, and the boys loved the waves. After an afternoon nap, we went back to Epcot and had supper at the Chip ‘n Dale’s Harvest Feast at The Garden Grill in the Land at Epcot. The restaurant rotates durning dinner allowing scenes from the Living with the Land attraction. The food was really good and we would recommend it. 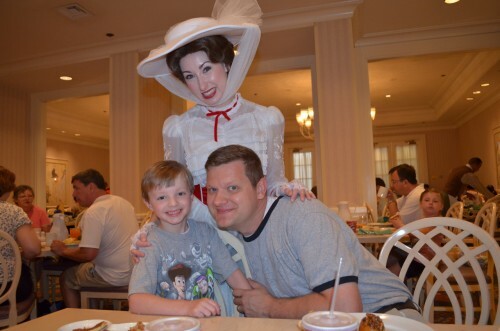 We started Friday morning with a Supercalifragilistic breakfast at 1900 Park Fare with Mary Poppins and friends, which included Alice from Wonderland, the Mad Hatter, Winnie the Pooh and Tigger. 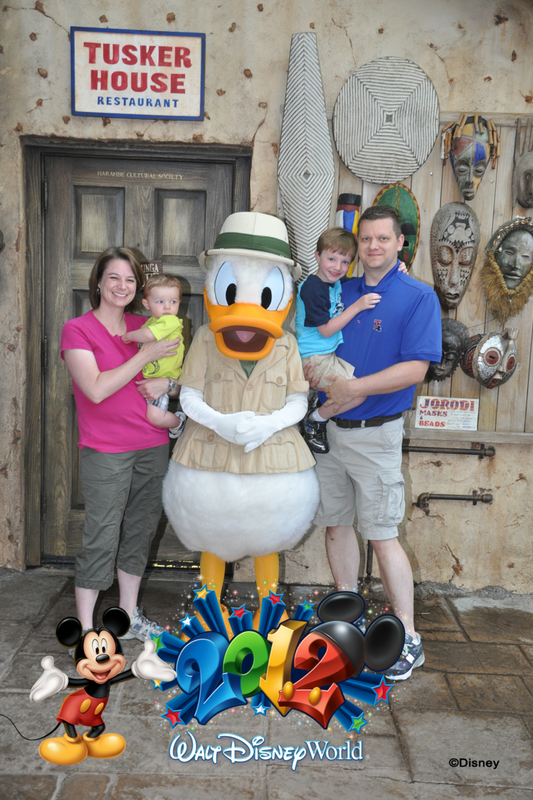 We went to Disney’s Hollywood Studios. We got FastPasses for Toy Story Mania, then headed to Star Tours, taking a detour for the Studio Backlot Tour and “Honey, I Shrunk the Kids” Movie Set Adventure (playground). Neal and Caden rode the re-imagined Star Tours, then pizza at Pizza Planet, followed by The Great Movie Ride. 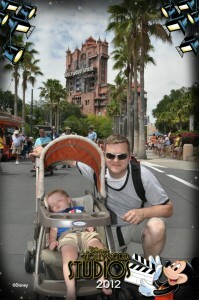 Jennifer and Caden rode Tower of Terror and Caleb took a power nap. We ended the day at the park with Toy Story Mania, an amazing 4D action ride that has to be experience to be truly amazed. 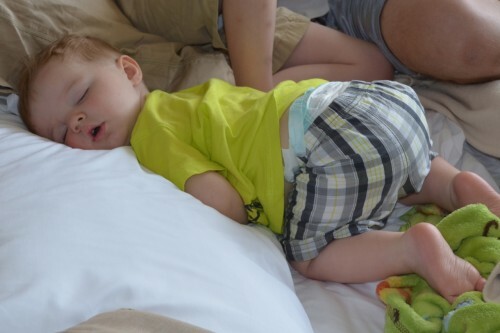 We went back to our room, rested, then went to Magic Kingdom one last time and stayed until the fireworks were over. On Saturday we took our time leaving, it was 12:30 pm before we left WDW. We stopped by Saratoga Springs Resort on our way out to do a little shopping. 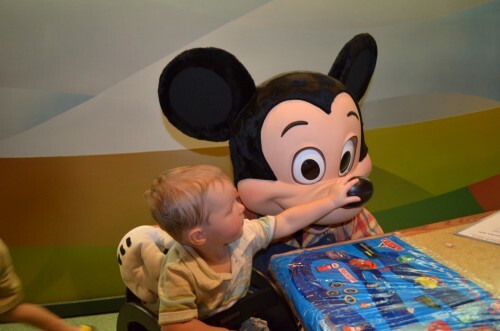 They have more Disney Vacation Club merchandise than any of the other resorts.